The march past, the salute, the holding of the certificate, everything done so beautifully. Congratulations Lt. Colonel MS Dhoni of 106 Para TA Batallion on the #PadmaBhushan ! Congratulations to the legendary Cricketer @msdhoni and international Billiards player @PankajAdvani247 on being awarded Padma Bhushan today in Rashtrapati Bhawan. Felt proud to see M.S. 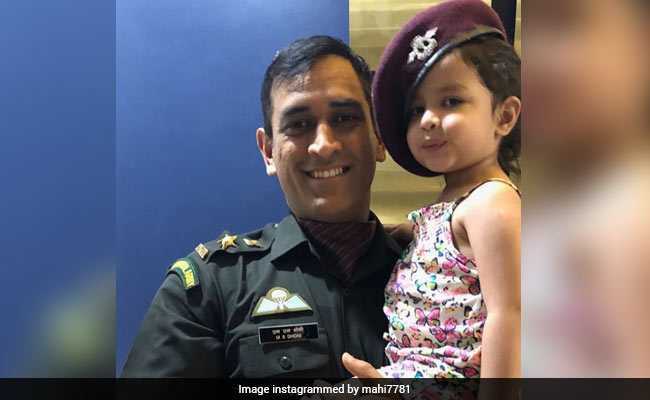 Dhoni in his army uniform on this occasion, accompanied by his wife Sakshi.